BOWLS BC » Bowls BC Youth Winter Indoor Tournament A Success…. Bowls BC Youth Winter Indoor Tournament A Success…. 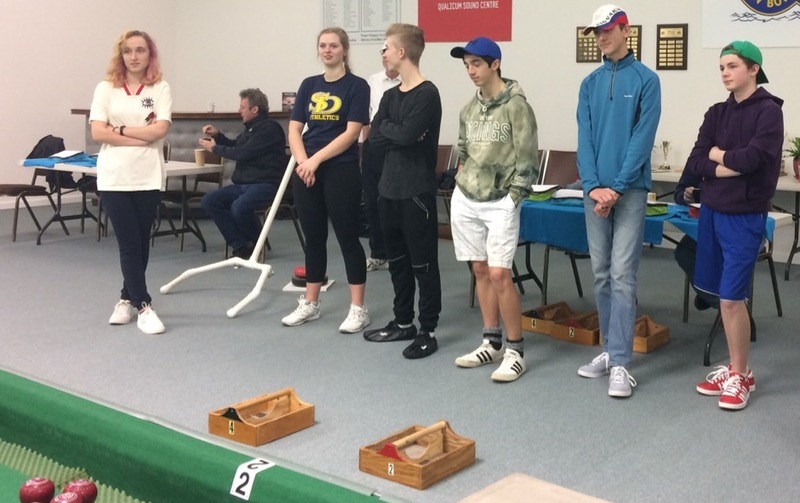 This past weekend saw Bowls BC and the Qualicum Beach Lawn Bowling Club host some of the biggest and brightest under 25 stars at the Youth Winter Indoor Bowls tournament. This was a two-day competition that saw players from across the Province hitting the carpet to compete in this newly formed event that has been funded by Bowls BC to ensure that the players are getting the best opportunity to compete at a high level. Bowls BC had the chance to speak with Emma Boyd about her experience and she said, “there was a solid turn out of young bowlers ranging from 15-18 and of all skill levels. This tournament was funded by Bowls BC in order to promote youth in our province, hopefully it will be an annual championship and promote young athletes like myself fall in love with the sport. Thank you to the volunteers, Bowls BC, and the Qualicum Beach indoor facility for running such a fun and exciting tournament”. Bowls BC would like to thank the Qualicum LBC and their volunteers for working so hard to make this a great experience for the players. Also a special thanks to volunteers David Child’s, Mick Banks, Ann Bodley-Scott and Shirley Phillips who worked so hard to put the event together. This is another great indoor initiative that the Province has been striving towards. Having the opportunity in our Province to play twelve months of the year give our players a huge advantage. Next up for the Indoor series will be the Indoor Mixed Pairs Championships at the Pacific Indoor Bowls Club. This event will see the winners heading off to the UK to represent British Columbia in an International event participating at the World Indoor Bowls Championships.